DUBAI, UAE, 3 April 2019 (NanoRacks PR) — To support its efforts to empower and encourage youth to take an interest in space science, The Mohammed bin Rashid Space Centre (MBRSC) launched the ‘Science in Space’ competition, in coordination with NanoRacks LLC. This initiative is under the umbrella of the UAE Astronaut Programme, where schools can apply to participate in conducting scientific experiments to study the impact of microgravity. MBRSC will choose 15 schools based on their efforts to promote the study of STEM fields and the reasons for participating in this competition. The winning schools will be able to nominate students to attend and participate in workshops organised by MBRSC to conduct 15 scientific experiences, where students can learn how to prepare scientific experiments and its phases. CENTENNIAL, Colo. (ULA PR) – United Launch Alliance (ULA) has issued its request for student teams from kindergarten through 12th grade to create “payloads” for the 2019 ULA and Ball Aerospace Student Rocket Launch. More than 20 K-12 student teams will have a chance to design, build and launch objects, experiments or instruments on the ULA-intern-built Future Heavy Super Sport rocket next summer. Teams can choose to compete for a chance to win up to $5,000 for their school or sponsoring nonprofit organization by guiding their payload closest to a designated ground-based target. WASHINGTON (NASA PR) — NASA and the National Science Foundation (NSF), in partnership with other federal agencies, have committed to a White House-led effort to strengthen education in science, technology, engineering and math (STEM). 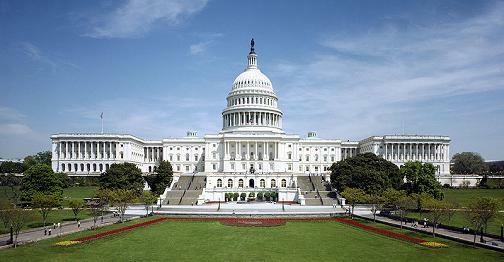 Charting a Course for Success: A Federal Strategy for STEM Education lays out the federal government’s role in furthering STEM education by working with state and local stakeholders, the education community and American employers. Its goals include building a STEM-proficient citizenry, creating a STEM-ready workforce and removing barriers to STEM careers, especially for women and underrepresented groups. Corporations buying the naming rights to launch vehicles and space missions, and NASA astronauts with endorsements and their photos on cereal boxes were some of the commercial ideas floated this week to help the agency commercialize space activities. 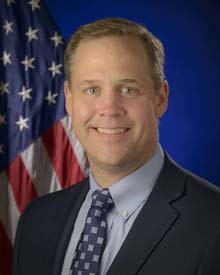 “There is interest in that right now,” Administrator Jim Bridenstine said during an appearance before the NASA Advisory Council (NAC). “The question is, is it possible? And the answer is, I don’t know. But, we need somebody to give us advice on whether it is. It would be a dramatic increase in costs. 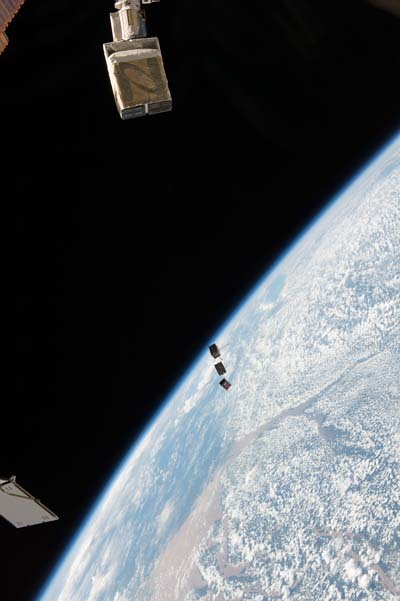 The most common type of small satellite used in education is the U.S.-developed CubeSat. Each is about 10 inches on a side and weighs 2 or 3 pounds. 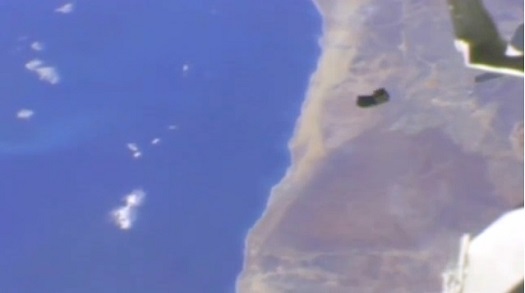 A working CubeSat that can take pictures of the Earth can be developed for only $5,000 in parts. They’re assembled by volunteer students and launched by NASA at no charge to the school or college. Currently, most missions pay under $100 to the FCC for an experimental license, as well as several hundred dollars to the International Telecommunications Union, which coordinates satellite positions and frequencies. U.S. CubeSat programs have been a model for space education programs around the world. In our work in North Dakota, we’ve seen the power of satellites to excite and engage students. And we’re not alone. Hundreds of CubeSats have given students hands-on experience, even reaching elementary schools, to get younger students interested in, and connected to, engineering and space science. In my view, the FCC should protect all this by making clear what fees apply to school and university missions, and ensuring the cost is much lower than $135,350. Concerned the United States will lack a workforce capable of sending astronauts to Mars, Lockheed Martin has unveiled new resources to encourage students to study relevant STEM fields. The additions to the company’s Generation Beyond program including a space-themed curriculum and new app that simulates what it’s like to explore the surface of Mars. The expansion of the program follows a poll that shows low interest among students in studying STEM fields. “According to the national survey of 1,000 teachers (conducted by Morar Consulting from April 5 – 11, ± 3.1% MOE), while just 38 percent of teachers report that a majority of students seem naturally interested in STEM, 83 percent see discussing space-related careers as a potential way to increase student focus on STEM,” Lockheed Martin said in a press statement. Lockheed Martin partnered with Discovery Education to create the Generation Beyond curriculum resources. They are available at generationbeyondinschool.com. The Mars Walk can be download for iPhone or Android phones. 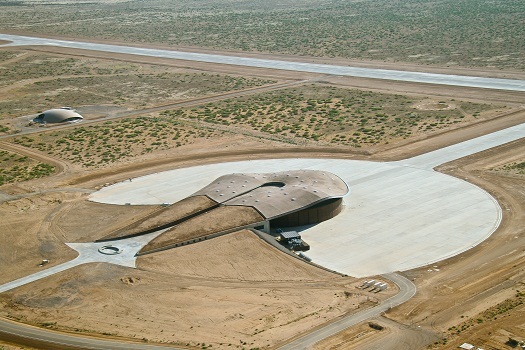 SPACEPORT AMERICA, NM, February 14, 2017 (NMSA PR) – Spaceport America, the world’s first purpose-built commercial spaceport located in southern New Mexico in the USA, and FieldTripZoom, a live and interactive educational content platform for K-12 classrooms, today announced their partnership to make a range of Spaceport America STEM and other educational content available to every K-12 classroom across the State of New Mexico – free of charge. Arusat deployed from the International Space Station. SALT LAKE CITY (Ardusat PR) — Ardusat, an education company focused on enhancing student engagement through hands-on experimentation, today announced it has secured a total of $1 million in seed funding from Space Florida, Fresco Capital, Spire and other investors. The capital will finance the expansion of Ardusat’s Experiment Platform, which enables K-12 and higher education students to study science, technology, engineering and mathematics (STEM) fields through custom experiments conducted in space or on earth. HILO, Hawaii (PISCES PR) — The Pacific International Space Center for Exploration Systems (PISCES) has signed a non-reimbursable Space Act Agreement with NASA’s Kennedy Space Center (KSC), formally establishing a partnership to jointly work on a Hawaii high school STEM (science, technology, engineering, and mathematics) project that will give students the opportunity to develop a space experiment and send it to the surface of the Moon. The experiment involves electrodynamic dust shield (EDS) technology. Under the Space Act Agreement, KSC will mentor the selected Hawaii students. This includes consulting them on the physics of the EDS; the design, development, and construction of mounting and integration hardware; and testing and analysis of a flight experiment configuration. The Garden of ETON from Experiment on Vimeo. Houston, Dec. 19th, 2014 (NanoRacks PR) – DreamUp, powered by NanoRacks, is a nonprofit organization now providing a place for student project teams to raise required funds to fly a science experiment to the International Space Station (ISS). The goal of DreamUp is to help students integrate into the commercial space community by delivering their experiments via NanoRacks to the U.S. National Laboratory onboard the ISS. MOJAVE, Calif., Tuesday, Aug. 5, 2014 (VG PR) — Virgin Galactic, the privately-funded space company owned by Sir Richard Branson’s Virgin Group and Abu Dhabi’s aabar Investments PJS, today announced a partnership with global book publisher DK to create seven exclusive titles over the next two years. The first book under the agreement, Virgin Galactic: The Ultimate Experience, will be published in October 2014 as Virgin Galactic moves toward the launch of commercial spaceflight.